Coming up with new ideas for engagement shoots is a dream for me. If you want to do something cool, adventurous, or epic… just ask me about my bucket list of photography ideas! 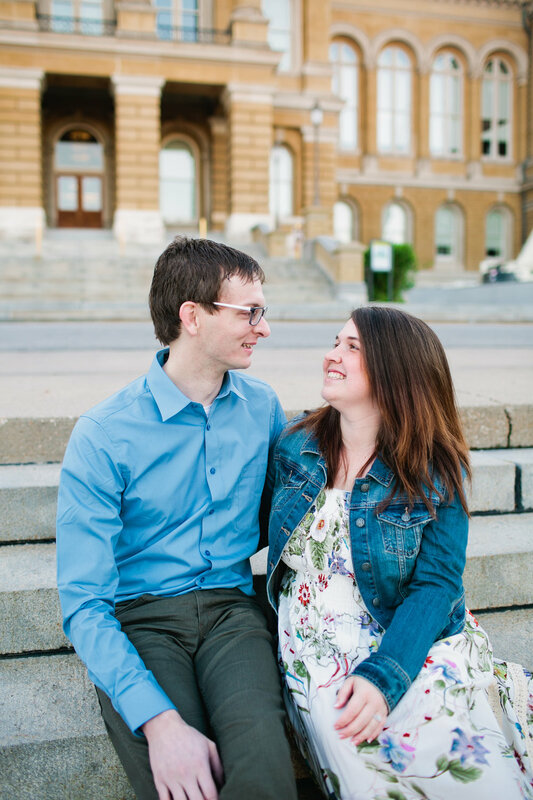 Two years ago, Chris and Elizabeth woke up before sunrise to meet me at the Iowa State Capitol for engagement photos. It not only is a gorgeous space, but boasts a stunning view of downtown Des Moines! I remember that Elizabeth had texted me dress ideas a few weeks before their session. I’m glad she went with the white floral maxi dress! PERFECT for early May photos! 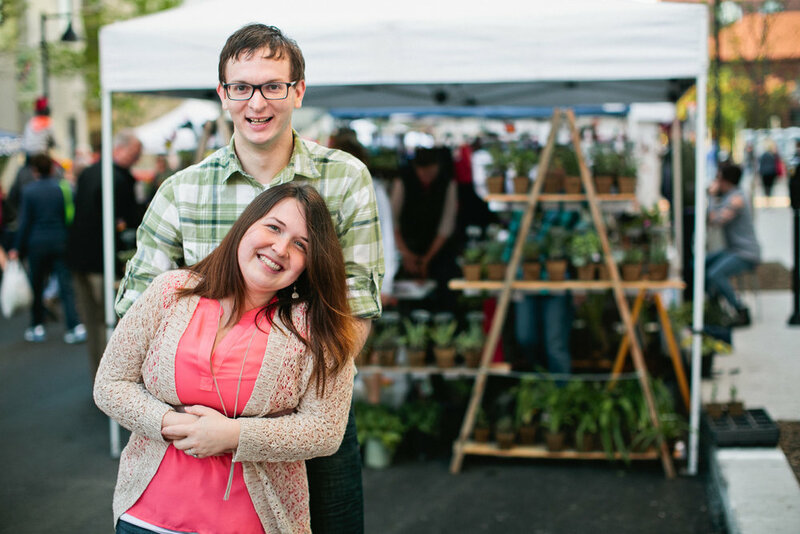 An outfit change later, we headed to the opening day of the DT Des Moines Farmer’s Market! I had always wanted to go… and never had been until this morning! It was chaos and a little overwhelming trying to navigate it with two humans and a camera. I feel like I’d be a lot more prepared this time around! You can’t go to the market and not buy some fresh, local blooms. And engagement ring photos is a MUST on said flowers! 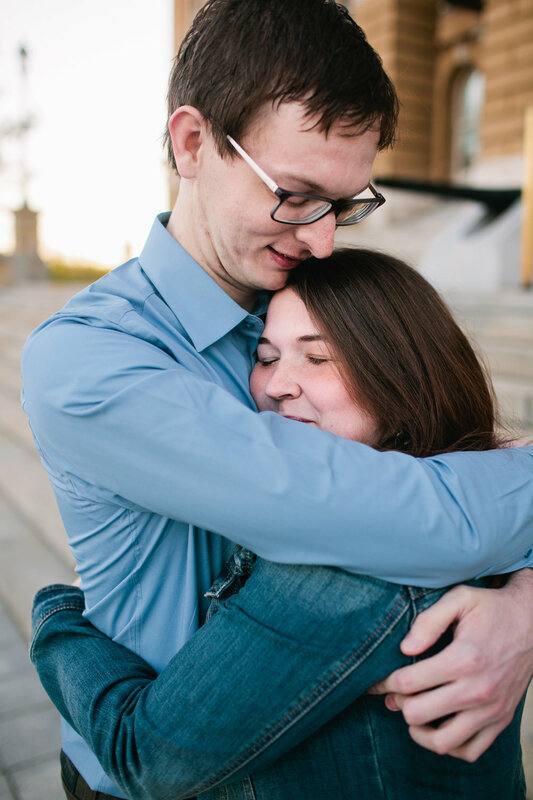 I’m looking forward to more spring engagement photos in Des Moines this year! Who wants to set up a session! ?